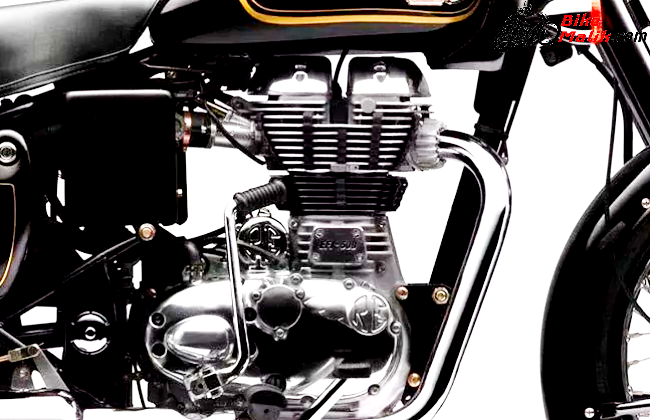 Royal Enfield Bullet 350 gets powered by a 346cc, single cylinder, 4-stroke, Twinspark, air-cooled engine that pumps out a maximum power of 19.8 bhp @ 5250 rpm with a 28Nm of peak torque @ 4000 rpm. The transmission duties are carried by a 5-speed constant mesh gearbox that uses wet multi-plate clutch assembly which transfers all the power to the rear wheel. The bike now gets incorporated with a UCAL 29mm, Constant Vacuum Carburettor as a default fuel supply system and Transistorised Coil Ignition as a default ignition system. 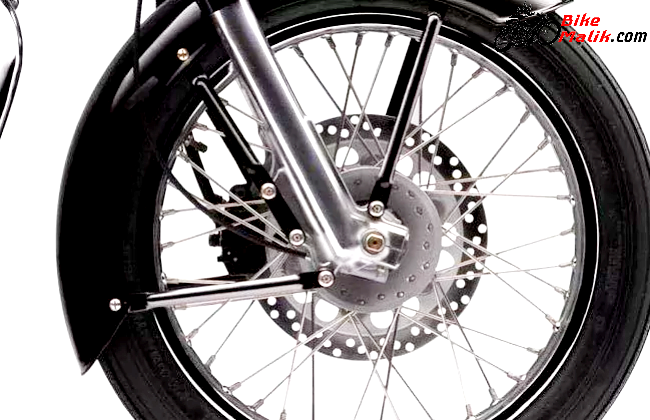 The compression ratio of 8.5: 1 and a bore x stroke ratio of 70mm x 90mm is the compression figures of the bike. 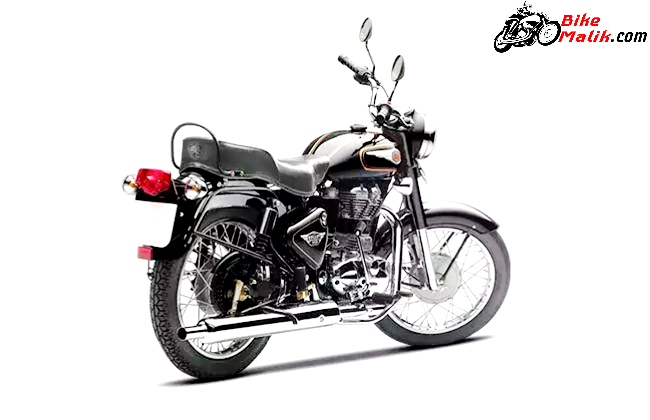 Firstly, we should salute the Royal Enfield engineering & workmanship, for bestowing the retro-vintage models into the market since the formation. 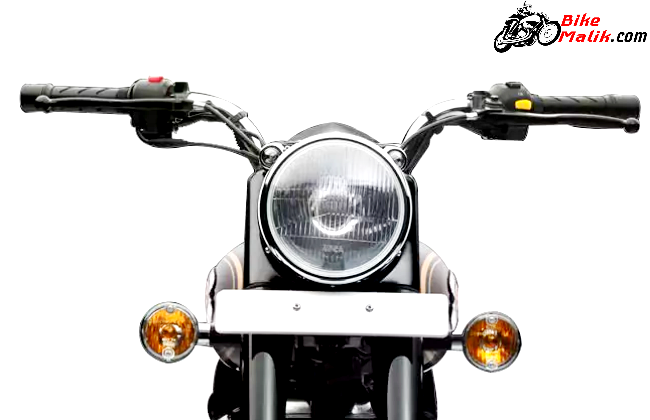 The bike gets sharp & round headlamp unit with integrated twin pilot lamps along with clear lens indicators, which gives tomboy stance to the bike from front angle. 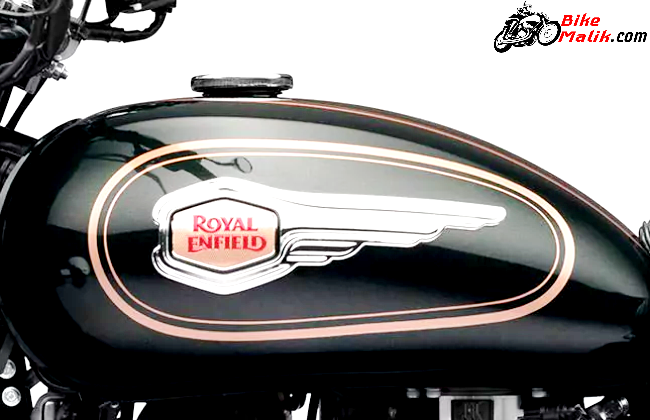 While the fuel tank now gets a Royal Enfield emblem on both sides, that adds the premium look to the bike. Well cushioned step up seat provides the acquired comfort for the occupants. 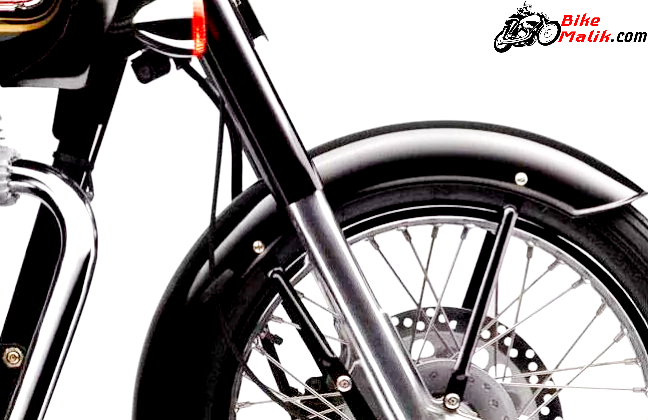 As of the rear, it boasts a rounded tail lamp setup, which adds prominent stance to the bike. 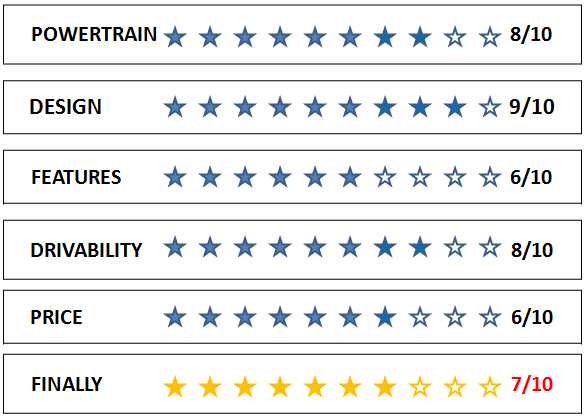 The bike measures 2140 mm in length, 800 mm in width, 1030 mm in height with an impressive wheelbase of 1370 mm. While the ground clearance of 135 mm provides acquired stability around the corners. The 180 kgs of kerb weight make the bike somewhat heavier, but it’s not an issue. While the instrument console displays useful info of analog speedometer and a fuel gauge. 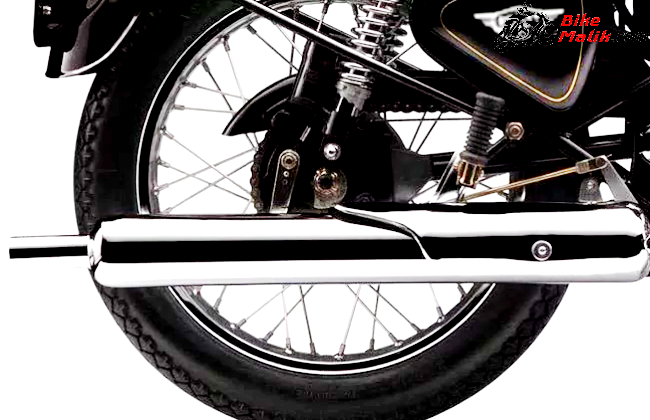 The Royal Enfield Bullet 350 gets stoppable by the application of 7″ Twin lead internal expanding drum brake at the front and 153mm Drum, Single Lead Internal Expanding at the rear. While the 35mm telescopic forks, 135mm travel at the front and Twin shock absorbers with 5-step adjustable preload, 80mm travel at the rear gives comfy vibes to the rider with no any discomfort. 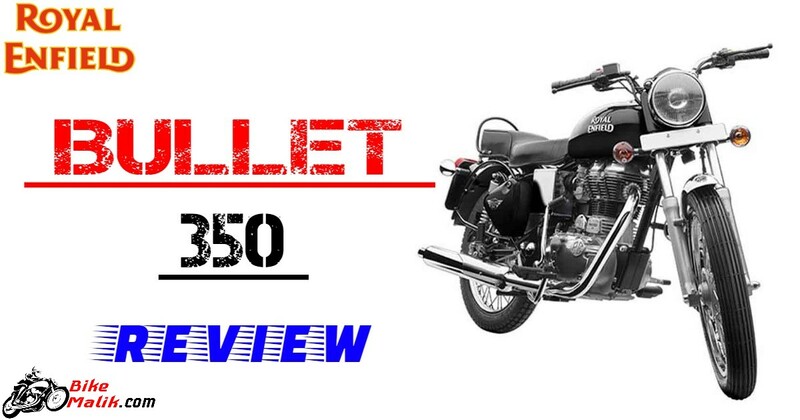 Safety as a concern, Bullet 350 sports unique features like a lockable toolkit as a single storage space, The two rear view mirrors, a 35W / 35W, Halogen headlamp for better visionary under dark conditions. 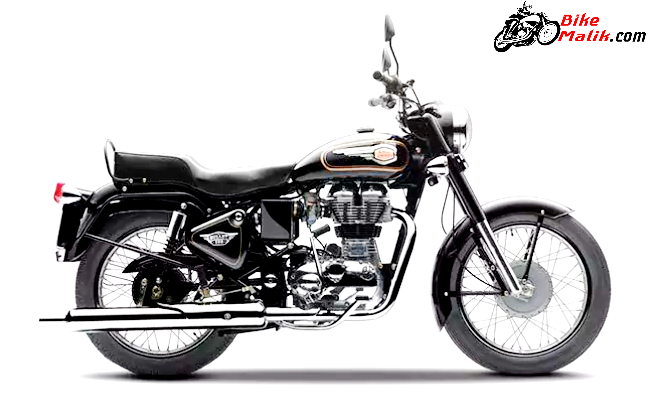 Royal Enfield Bullet 350 with all the astounding amenities receives a price tag of INR 1,29,239 (ex-showroom, Delhi). 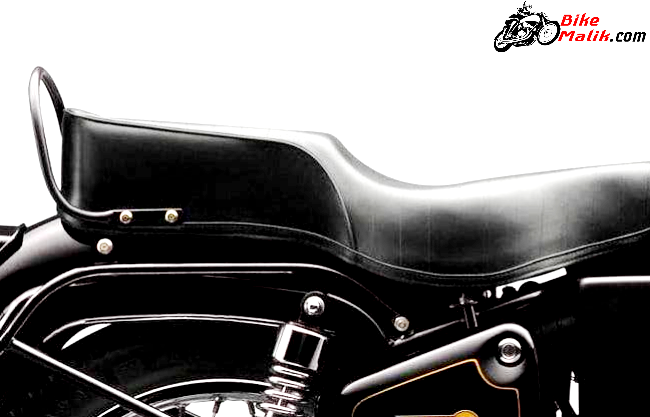 Undoubtedly, Royal Enfield Bullet 350 is the most iconic cruiser that was available in the market till date. Thumbs Up for the real Indian retro cruiser.